Reasons why the old Elections Canada blackout law makes sense -- even in the Twitter age. Twitter is a bigger factor in the election this time around, prompting concerns users might flout an elections blackout law. Vancouver blogger Paul C. Bryan went to great pains back in 2000 to openly flout a 70-year-old election law by publishing poll results on election night, but he'll be silent this time around. "I don't plan to publish any results or purported results of the election," said Bryan, 40, of Vancouver. "I plan on watching and I plan on joining the discussion on this issue on election night." Garth Oswald, 36, of Abbotsford, B.C. "I plan on finding results where I can before the polls close in my riding … I remember a few elections ago I could watch the results on satellite TV from the Maritimes hours before the polls closed here in BC. It didn't change my vote since I had already voted, and I don't believe it would change many votes." Harrison Perkins, 19, of Lang, Ont. "I think it's good to keep up to date with the results as they come in, the adrenalin is going a lot faster the night of, when new numbers come in, opposed to waiting till the next morning to hear the results. … For youth such as myself that have Twitter it would engage us to follow and watch these events unfold right before us." Valerie Adrian, 48, of Lillooet, B.C. "I will still be watching my tweets on May 2nd and if results are part of that so be it. I will not retweet them. I am really mainly interested in results for my riding." Philip Callan, 34, of Edmonton, Alta. "I, for one, won't be flouting the ban. I think there is room for change, but I think the Elections Law of ANY Democracy should be respected, even if you disagree, in fact, especially if you disagree. Fight it, get it changed, but don't disregard it because you may not agree with it." Bryan spent tens of thousands of dollars and seven years unsuccessfully fighting Section 329 of the Canada Elections Act, which bans anyone from transmitting local poll results to other electoral districts on election night until polls close in that area. 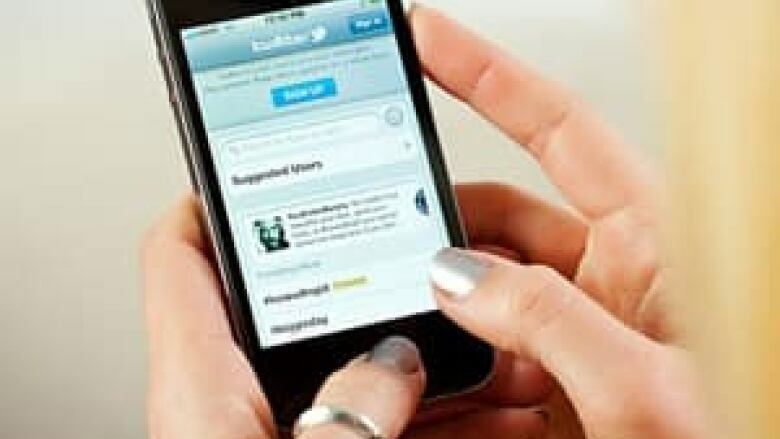 Elections Canada recently warned social media users that results posted in the May 2 vote to Twitter or on Facebook walls will violate the 1938 law. The maximum punishment is $25,000 or up to five years in prison. Reaction from Twitter users was swift, with some declaring plans to launch a "tweet-in" to overwhelm the electoral body by flooding the system with Tweets revealing results. Though Bryan, who works as a software developer, won't be posting results to his own Twitter account, he hopes someone takes up the cause. "I'm definitely receptive to seeing somebody else take this and run with it," said Bryan. "Giving information to Canadians then ordering them to not communicate it is unreasonable." Bryan's refusal to take on the case again largely boils down to a matter of money. "A lot has changed in my life since then," said Bryan. "I have two kids and a mortgage. A $25,000 fine would have a significant impact." Elections Canada charged Bryan in 2000 for publishing election results from Atlantic Canada on his blog. He accessed them in B.C. by setting up a satellite feed from Newfoundland. He was fined $1,000, but fought the case up to the Supreme Court on constitutional grounds. In the end, Canada's top court voted 5-4 to uphold his conviction. The one and only expert witness who testified in the R. v. Bryan court case says despite the advent of social media, the arguments made in court 10 years ago still stand today. Robert MacDermid, a political scientist at York University who specializes in election issues, says the 1938 law was first created because Members of Parliament were worried that fraudulent results could get out via transmissions from the East published in Vancouver broadsheets. "The possibility of fraudulent or misleading results is still there," says MacDermid. "You can still be misled. …I would take every Tweet with a grain of salt … especially in the political world." Democratic voting also relies on citizens receiving the information at the same time, he says. It would be unfair, for example, if West Coast voters were able to vote strategically while those on the East Coast were not. A 4.5-hour difference spans Canada from coast to coast. Hours for polling stations are staggered to try to close the gap between the release of election results. Even then, a three-hour gap remains. Newfoundland 8:30 a.m.-8:30 p.m. 4:00 p.m.
Atlantic 8:30 a.m.-8:30 p.m. 4:30 p.m.
Eastern 9:30 a.m.-9:30 p.m. 6:30 p.m.
Central 8:30 a.m.-8:30 p.m. 6:30 p.m.
Mountain 7:30 a.m.-7:30 p.m. 6:30 p.m.
Pacific 7:00 a.m.-7:00 p.m. 7:00 p.m. Posting results in real-time, especially if the election appears to be a landslide, could also depress voter turnout, which already hit an all-time low in Canada's last federal election. MacDermid dismisses a solution proposed by some to delay the release of voting results, saying it would add to the cost of the election due to polling stations open later, the necessity of hiring polling clerks for longer hours and extra costs associated with protecting the results from getting leaked. In fact, MacDermid says there's little reason to change the law since it wouldn't make much difference. Staggered polling hours for Canada's time zones mean there's little time for strategic voting to occur and the results posted would primarily be from the East Coast. Results from Central Canada, where the majority of ridings are located, would not be released until minutes before polls closed in B.C. "So do you think there's going to be a big queue of voters waiting with their BlackBerrys at the poll waiting to be directed how to vote according to the results? I mean, it's laughable. Come on," says MacDermid. Bryan agrees on one point: that posting results is unlikely to make much of a difference, but argues that's more reason to change the law. "How somebody votes in Halifax is not likely going to have some effect within the rest of the country," said Bryan. The software developer expects that there will be Section 329 violations this election, whether intentional or not. "Now you have microblogging," said Bryan. "Now you have Facebook and Twitter, where on your cell phone you can type in a text and post it to everybody. And it's ridiculously easy. Which means it's going to be ridiculously easy for this law to be violated." "People may very well just be posting information about what they are seeing on TV at the time without regard, without the knowledge that that kind of information may be illegal."